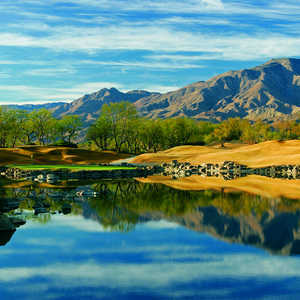 The Shark's turned in what's widely regarded as the second-toughest course at PGA West - Greg Norman Course in La Quinta. 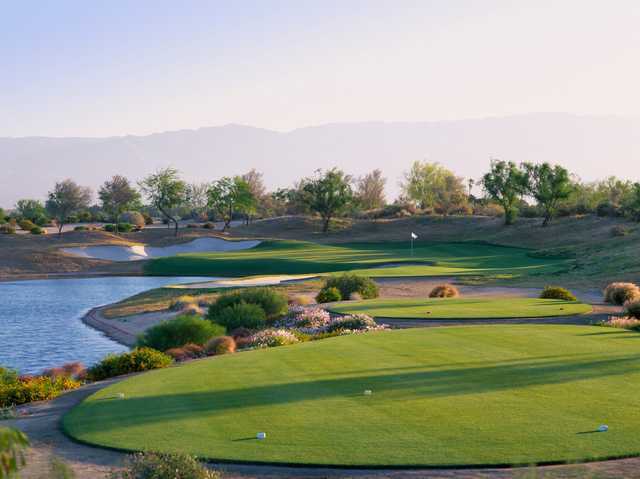 No small feat considering the developers of the neighboring TPC Stadium ordered Pete Dye to make it, "the hardest damn golf course in the world." "There's a difference," said Jack Guevera, a golfer who's played both. "You might think you have it easy if you play the Norman after the Stadium .... But probably not." 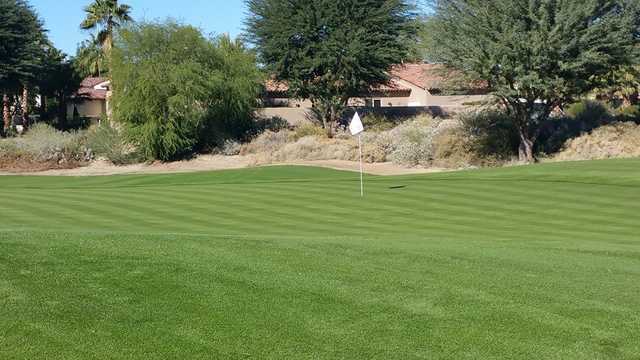 Here's the difference: Dye tries to kill you at TPC Stadium. Norman only wants to beat you to a pulp. Not that pummeling does not have its highlights. Norman's 216-yard, par-3 13th is the kind of hole that seizes your attention and lingers in memory after the round. What little fairway there is curves around toward a man-made lake. 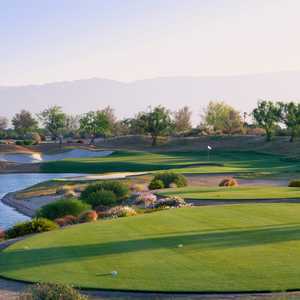 It is also tilted down on a sharp angle to the water, giving the golfer the effect of hitting along a ledge. Each shot is a tap dance here. 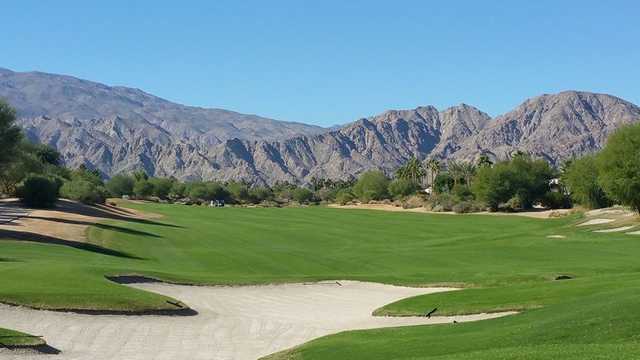 You could not even get odds in Vegas on your chances of avoiding all of the deep, slanted bunkers that squeeze the mini fairway even tighter. 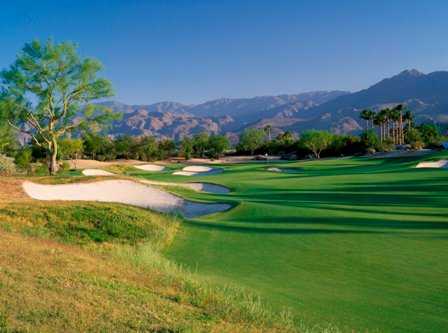 "Greg Norman wants you to choke," TravelGolf.com West Coast Bureau Chief Chris Baldwin said. "The supremely-talented, enthrallingly-entertaining golfer cursed to be forever remembered for his excruciating collapses wants the average hacker to experience just a taste of this misery."